If you've been a reader for any amount of time, you probably know that I started this website when I moved to Hanoi, Vietnam to work as an English teacher. However, you might NOT know that Hanoi was actually the 2nd time I had lived internationally. 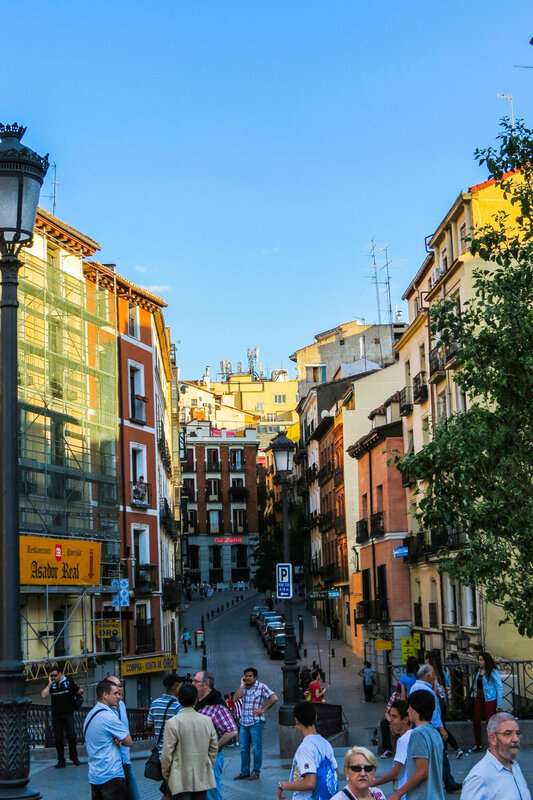 The first time was my study abroad, during which I spent a semester living in Madrid, Spain. 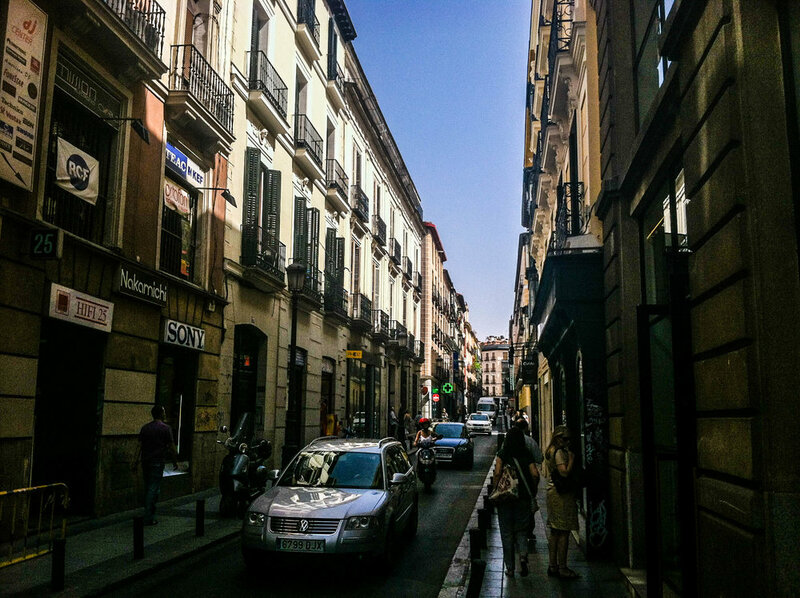 In the time that has passed since leaving Spain, I have reflected on that semester a lot. It wasn't all sangria and tapas. It was a lot harder than I thought it would be. In fact, if I am totally honest with myself, I did not have a great time in Madrid. I had a lot of fun here, but I spent most of my time dealing with drama on the home front, swamped with school work, or struggling with my Spanish skills at the job I worked while I was not in school. Some of the other people in my program lived in gorgeous apartments in the heart of the city and became like adopted children to their host families. A few of them have even gone back to visit their host families fairly recently! This was not my experience. I lived in a shabby apartment outside the city with an older woman and her 29-year-old daughter, both of whom were mostly indifferent towards me. I’m sure it didn't help that I was probably also a total goober at the time (I was only 20), but when I look back, it's clear that I drew the short straw with housing assignments. And on top of all that, it was my first time living outside of the U.S., which comes with a whole other set of challenges. I was pretty green, and it wasn't easy! 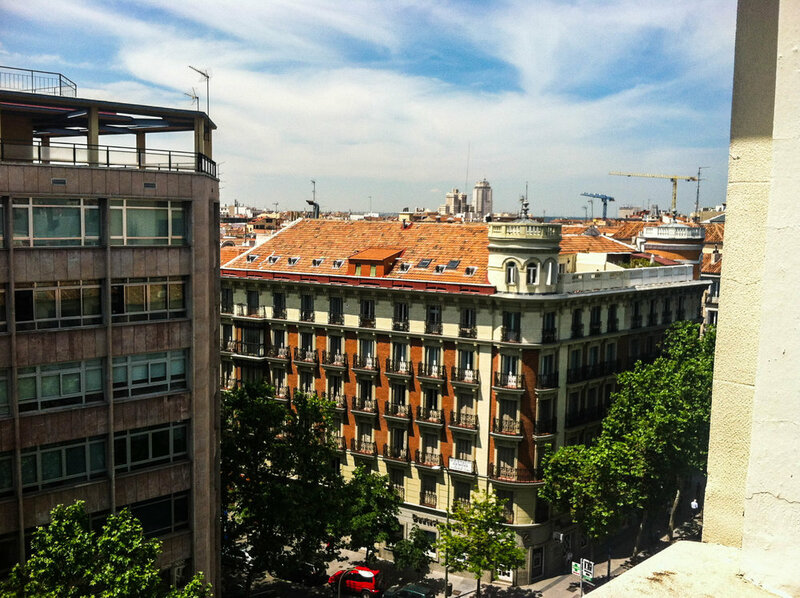 But, in spite of all that, I actually really miss Madrid. I miss it all the damn time. Looking back at my time in Madrid, it's clear that none of the above were "Madrid" problems; they were Peter problems. I think that if I were to move back tomorrow, I would have a very different experience. And I'm glad of the fact that, in spite of my trials and tribulations, the essence of this city managed to seep into my heart anyway. 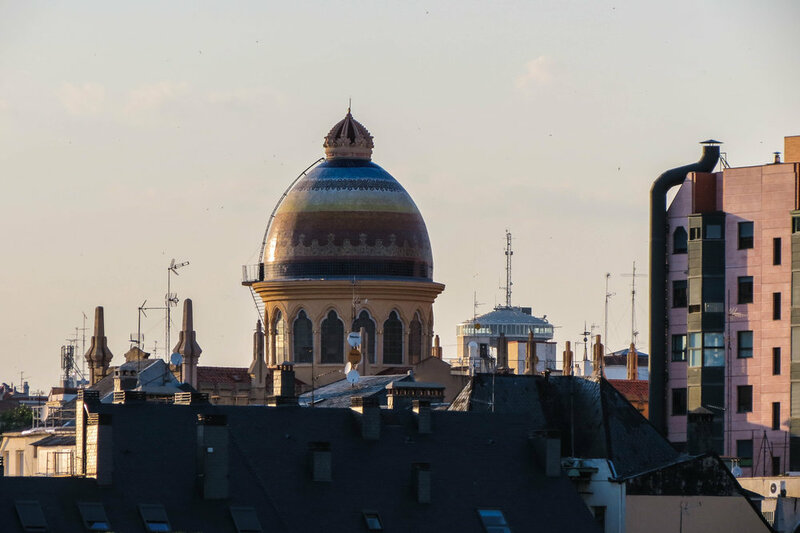 What was so special about Madrid? 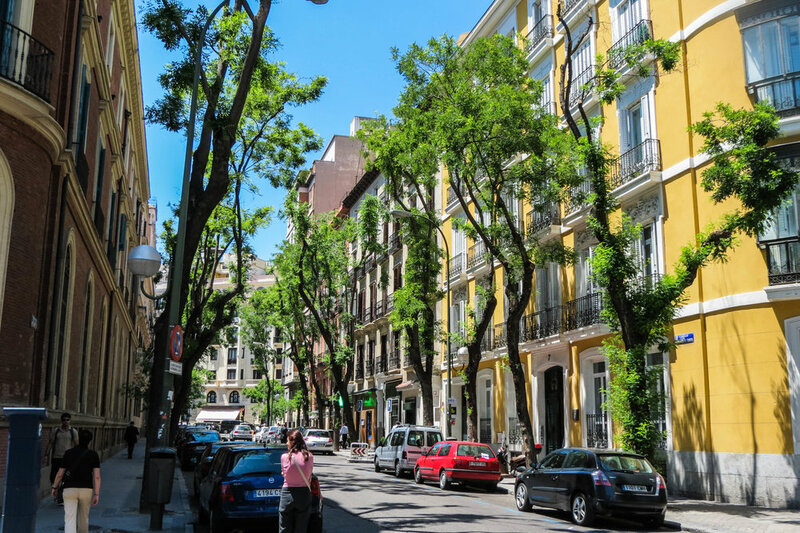 The best way I can put it is that Madrid was like Neverland, for reasons that I've heard echoed by lots of other Americans I’ve met over the years who have also lived there. You see, in Spain, you stay young a lot longer. It's normal and socially acceptable to be unemployed at 29, living with your parents, having them cook you all of your meals, and then going out drinking with your friends every night. This is where a snarky American like me might say something like "cheah, well check out how their economy is doing!" Yeah, fair point. Spain's economy has been pretty stagnant, and having a "siesta" in the middle of a work day felt very counter productive. My coworkers would essentially just take 3 hour lunch breaks. And they would still clock out by 5! Which is not to imply that Americans have superior (or even healthy) work habits either—we work longer and harder than almost any other country in the world... and yet STILL somehow don’t tend to get much more done than workers in other major economies. So we're pretty much all making ourselves miserable for no reason! I'm getting sidetracked. 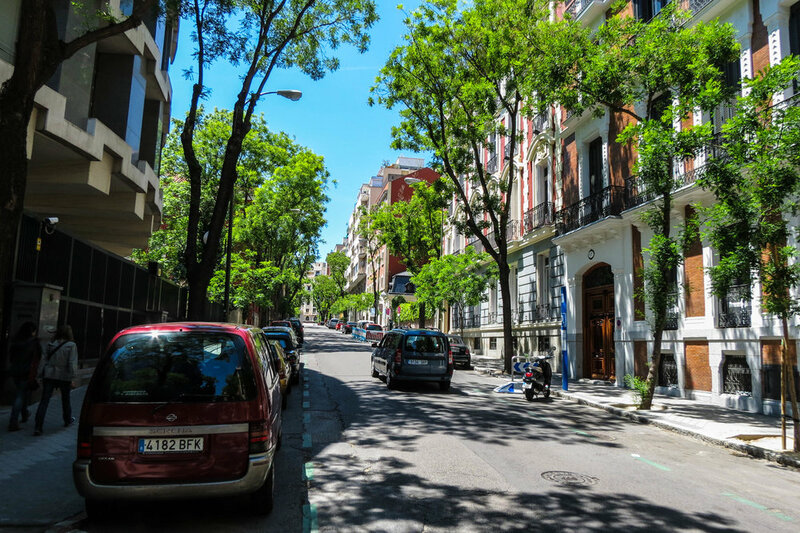 The point is, Madrid has some magic to it. America ages you. But Madrid allows you to be young. And once you feel that for yourself, it’s intoxicating. This is the first installment of what is going to be a #ThrowBackThursday series. I'll be digging up some choice photos from my time in Europe, re-editing them, and sharing some thoughts and/or stories about each of the places I visited. So let's get to the good stuff! 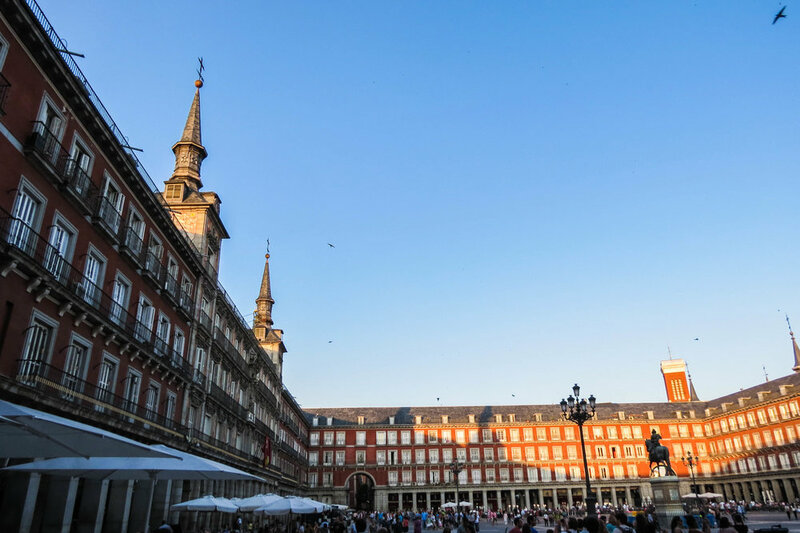 Madrid is the capital city of Spain, and an absolutely massive population center by both Spanish and European standards. 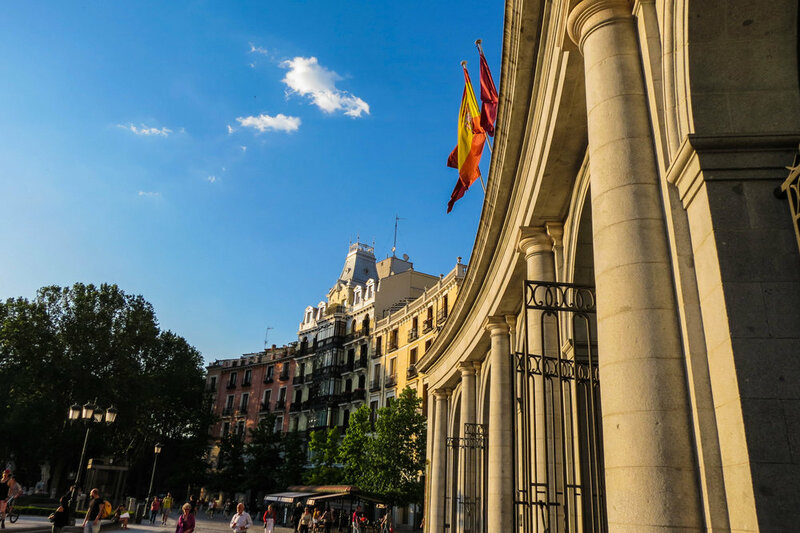 Madrid proper has 3.2 million inhabitants, and Madrid metro has 6.5 million, which makes it the largest city in Spain by a substantial margin, but also the 3rd largest population center in the European Union! Madrid proper is smaller only than London and Berlin, and it's metro area is smaller only than London and Paris. So this is not a small place. 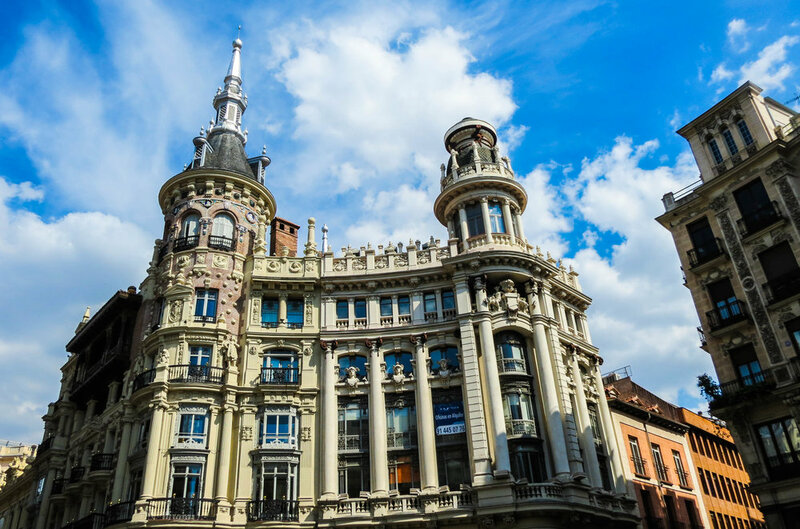 However, in spite of its considerable size and influence, Madrid is not usually top-of-mind when it comes to European cities. But this is definitely not the case with their soccer (er, sorry—football) club. Real Madrid is larger than life. You've heard of Real Madrid, right? If not, I should probably tell you that it's pronounced "ray-al" Madrid. You may also have heard of Madrid's most valuable citizen, Cristiano Ronaldo, star footballer. The further further I travel, the more I come to the conclusion that Ronaldo might be a contender for the most famous person in the world, second only to Lionel Messi (of F.C. Barcelona). Kids all over the world know these names. I've played games of soccer on some VERY remote, dirt fields around the world (Burma and Indonesia come to mind) and kids always tell me that their favorite footballer is Messi or Ronaldo. These athletes are on the same level the U.S. president or celebrities like Taylor Swift. 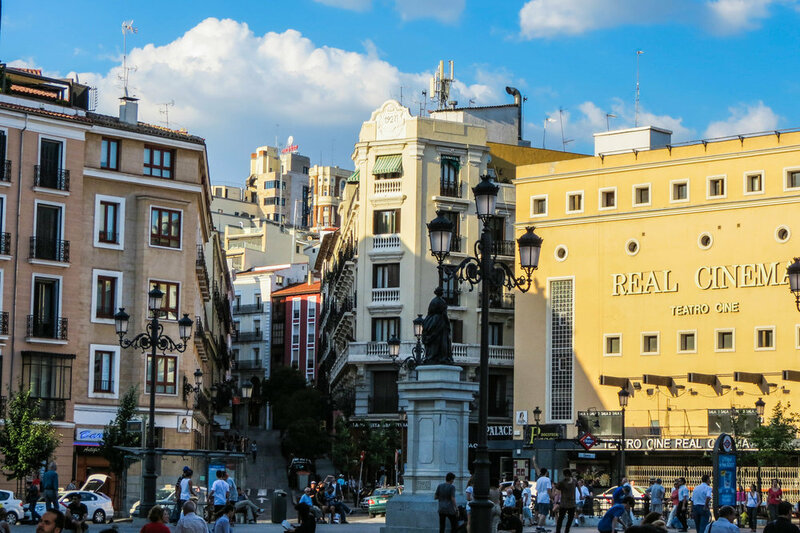 There's a lot to see in Madrid. 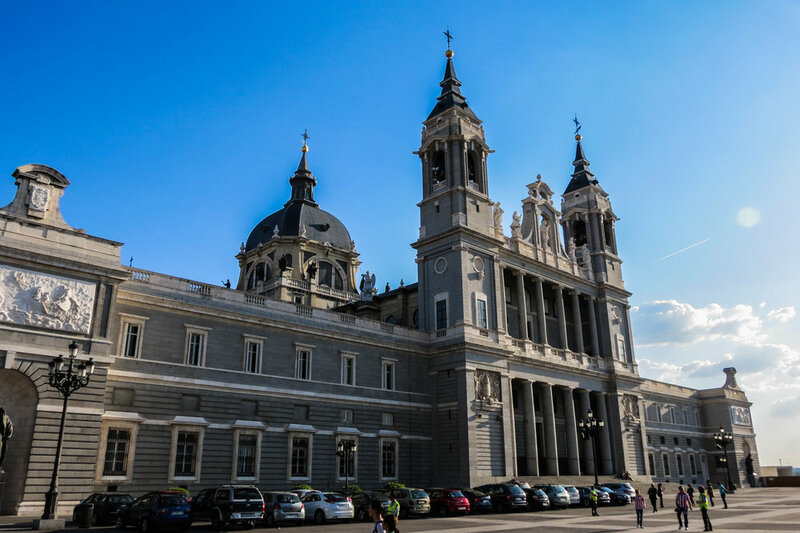 Landmarks like El Retiro (Madrid's version of Central Park) and El Prado (Madrid's big art museum) top the lists of sights to be seen, but in this article, I'm just going to show you an assortment of photos from my periodic wanderings of the city. 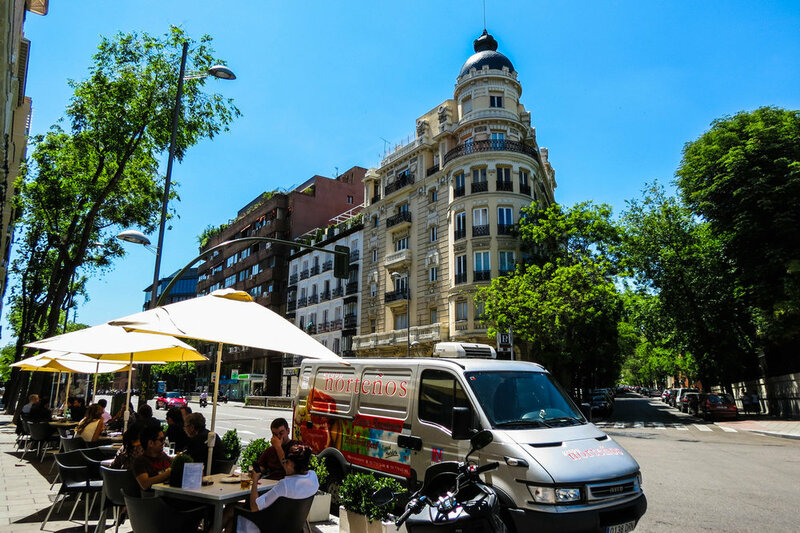 These photos span quite a few different areas of the city, from Madrid's iconic Plaza del Sol, to the grittier stretches of the city, out past the Real Madrid Stadium, which happened to be my "home base" during my time here. The photo walks that yeilded the following images were some of best memories from Madrid, so hopefully find the same beauty in this city that I did. And before I end this gallery, here are a couple choice photos from Madrid's legendary nightlife. 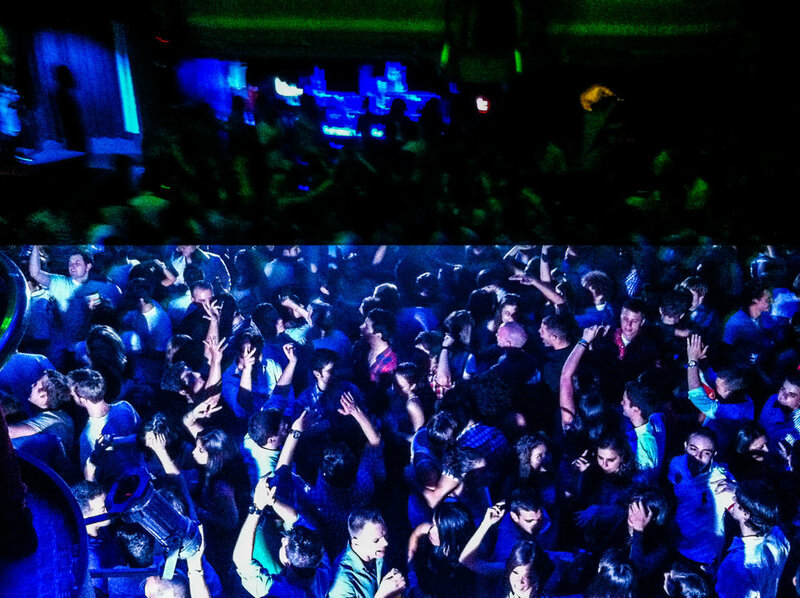 Both of these images come from an incredible 7-story nightclub called Kapital. It's not the most "local" place, but I don't even care. It’s incredible. Yes, that is a drag queen. And the other photo I really love because it contains two pictures in one—in the darker top half, the image is blurry and obscured, but on the lighter bottom half, everything is crystal clear. I especially love this photo because, for the life of me, I can't remember taking it. It was a pleasant surprise when I woke up the next morning. 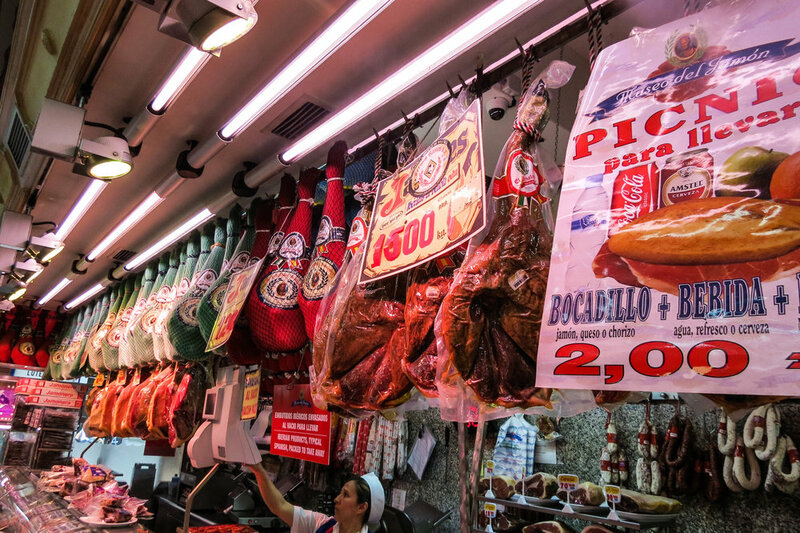 Nightlife in Madrid (and Spain as a whole) is not for the faint of heart. 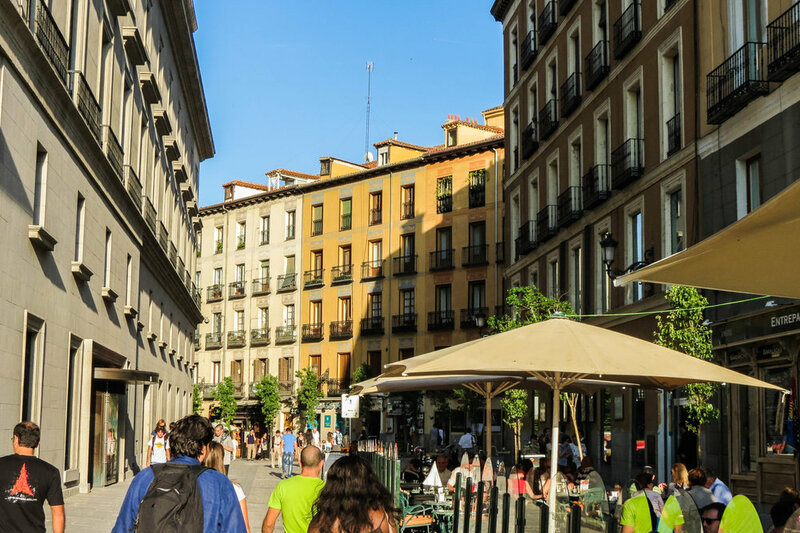 Young people in Madrid will be eating dinner with their families around 10pm, "pre-gaming" with their friends by midnight, and then in clubs from 2:00am to 6:00am. At 6:00am, the metro starts running again, so most people will go home, but others will stay out and go to other clubs that stay open until 11:00am. And this is all very socially acceptable, 7 days per week. If any of the above made your jaw drop, I feel you. Adopting the "when in Rome" mentality, I attempted to partake as best I could, but I only made it to 6:00am a couple of times, and it was not fun. Both times I was standing outside the Metro station around 5:45am, looking at the clock on my phone, just waiting for the gates to open back up so I could get home without paying for a taxi. There is one night in particular that sticks out my mind as particularly rough—I have no idea where I was, but it was ~4:00am and I was sick of being in bars so I decided to strike out on my own in search of the 24-hour McDonald's that I had seen earlier in the night. I have a pretty good sense of direction, so I was confident that I could find my way there and back again... but what I had not anticipated was the way the city would change at night. The city was beautiful at night, and I was starting to enjoy myself again as I got my bearings. But then, when I turned the final street corner in this walk, I was confronted with something I was not prepared for. The street lamps flickered eerily overhead, casting uneasy light on a long succession of women standing in a line along the curb. These were clearly prostitutes. I know that Madrid has a red light district somewhere.... but I really don't think this was it. This alley was completely empty except for these women and a few nondescript men standing in the shadows cast by doorways so that their faces were obscured. Off in the distance, I could see the ethereal glow of those golden arches, shining out in the night like a beacon, so I took a deep breath and began to walk forward. Let me tell you, it never felt so freaking good to walk into McDonald's. After a harrowing final boss battle, that burger was my prize. Once I connected to the McWiFi, I plotted an alternative route back to my friends at the bar. Later I did some research and learned that the street I was on was *probably* Calle Luna. Turns out the conventional wisdom for anybody walking around Madrid at that time of night is to avoid this street, because of exactly what I experienced. I'm going to end with a track that feels very defining to my time in Spain. When I wasn't at university, I was working a job as an intern at a Spanish record label / booking agency called Mushroom Pillow / Artica. On my first day, my boss gave me a stack of CDs to listen to—these were bands that they worked with and represented. I listened to them all many times through, and some of these tracks stuck with me. Among these CDs were artists like Delorean, Joe Crepúsculo, La Habitación Roja, We Are Standard, Triángulo de Amor Bizarro, French Horn Rebellion, Chinese Christmas Cards, and more. This all probably sounds a lot cooler than it actually was, but I was pretty enamored with the whole thing. So to compensate for that terrifying story I just told you, let me end with one of my favorite tracks I was introduced to in this internship. Madrid was challenging for me, but listening to this song as I walked around the city never failed to help me see the good in my surroundings. This was a Spanish that band that sung in English. Their English is pretty terrible... but I think that made it kind of fun.